Whether you’re tight on space or budget, you can still host an incredible party by making the most out of one statement table! 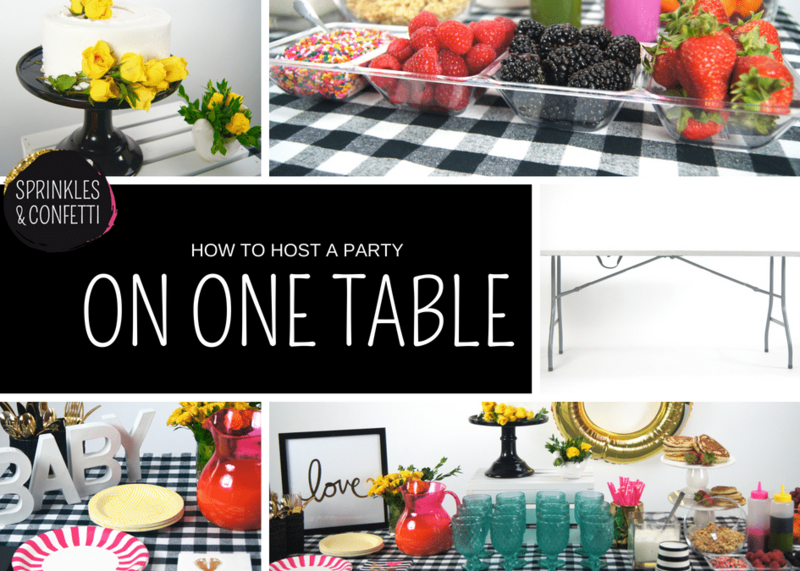 Today, we are thrilled that Jackie of Sprinkles & Confetti is going to share her simple tips on how to host a party on one 6ft banquet table. First things first, every great party starts with a plan! For maximum impact, we recommend focusing in on the few elements that will make the largest impact for your theme. If you are not sure where to start with planning, check out our Ten Questions to Ask Yourself Before Hosting a Party! Skip the plastic disposable tablecloth and invest in real linens that have a pattern or texture and will create a wow moment for the table. Linens don’t have to be expensive and some start at only $10-12. 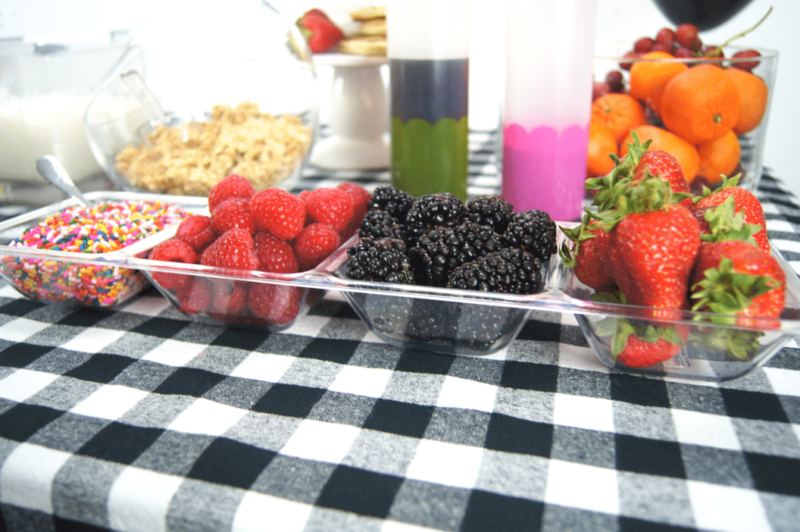 Fabric linens are also machine washable and you can often use them for future events, saving you money down the road! 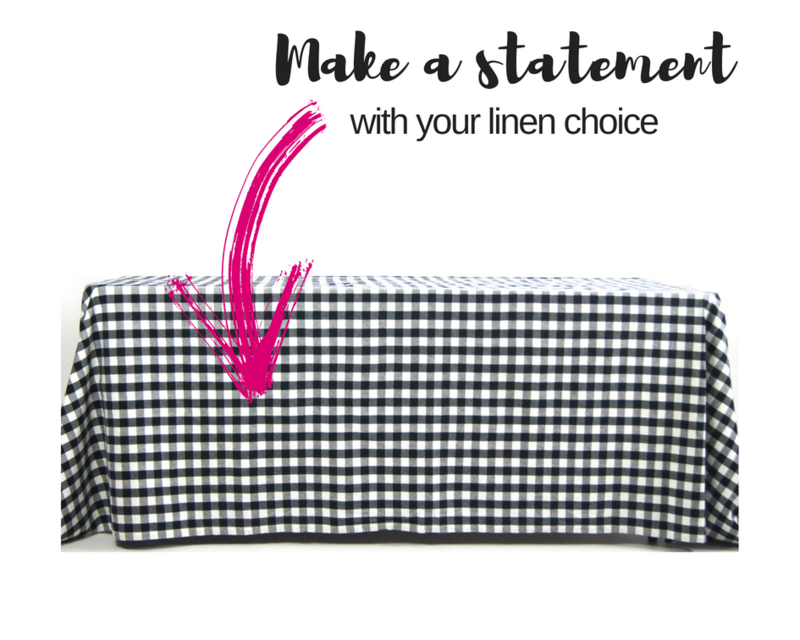 As you’re planning your linen purchase, do remember a linen that covers to the floor will give a more polished look to your 6ft banquet table, which means you’ll need to find a tablecloth or fabric that is 90 x 13 inches. Make a blueprint ahead of time of where each item will sit on the table (we personally love to place post it notes where everything will go)! Prepare any food items you can the night before or morning of the party, so minimal cooking needs to happen close to the party start time. Choose meaningful décor and mix it with other affordable décor options. We styled the same table with the same food three ways to show a quick swap of décor can take you from 1st birthday to bridal or baby shower! Regardless of whether you’re hosting a birthday party, bridal shower, baby shower, or other celebration pick at least one impactful décor item that highlights your theme & then fill in with a simple banner, balloons, or cake stand to add the color and celebration you’re trying to achieve. 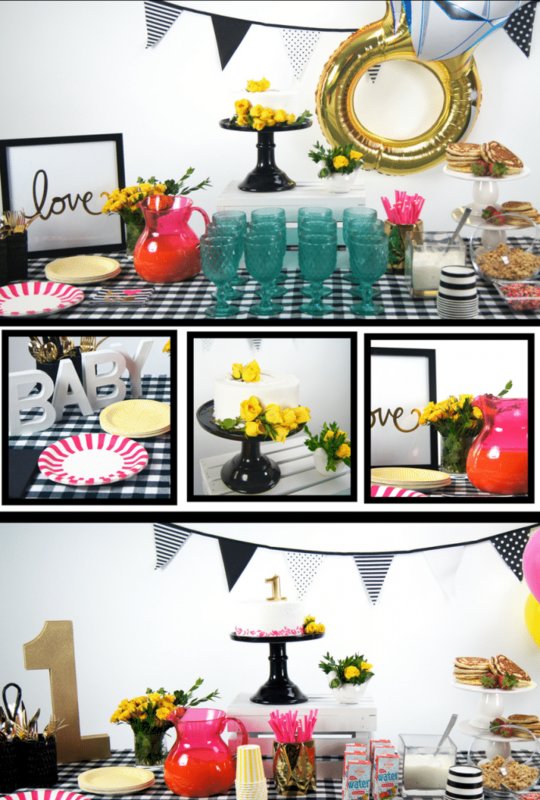 Check out more parties made simple and shop the items featured in Jackie’s party at Sprinkles & Confetti. Follow Jackie on Instagram @sprinkles_and_confetti. Thanks Sprinkles & Confetti for sharing your ideas with us!